Chrome finished 3 1/2" length handle to be caulked to the glass edge of 1/4" thickness door. Designed to work with a magnet on the strike rail (not included). Not compatible with other brands-- no returns. Color may vary from photo shown. 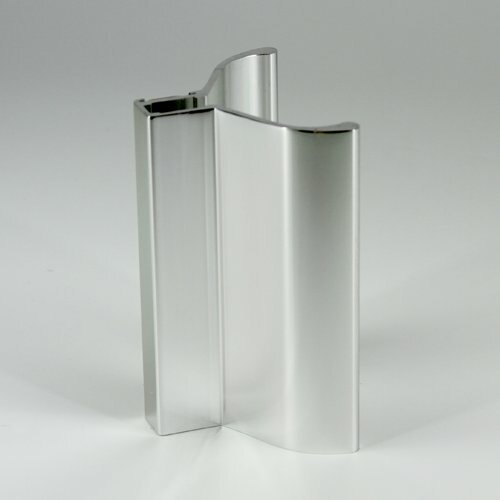 Chrome finished 3 1/2" length handle to be caulked to the glass edge of 1/4" thickness door. Designed to work with a magnet on the strike rail (not included). Not compatible with other brands-- no returns. Superior quality material ensures durability. If you have any questions about this product by Mr. ShowerDoor, contact us by completing and submitting the form below. If you are looking for a specif part number, please include it with your message.